Apple is well known for its often inconsistent approach to app acceptance or rejection (more on than in this week’s upcoming Newsstand magazine), but this is a bit silly. According to Apple, Hunted Cow developer Andrew Mullholland had his app Tank Battle: East Front 1942 rejected for App Store inclusion because it has German and Russian positioned as enemies in it. We found that your app contains content or features that include people from a specific race, culture, government, corporation, or other real entity as the enemies in the context of the game, which is not in compliance with the App Store Review Guidelines. Specifically, we noticed your app depicts real entity as the enemies. 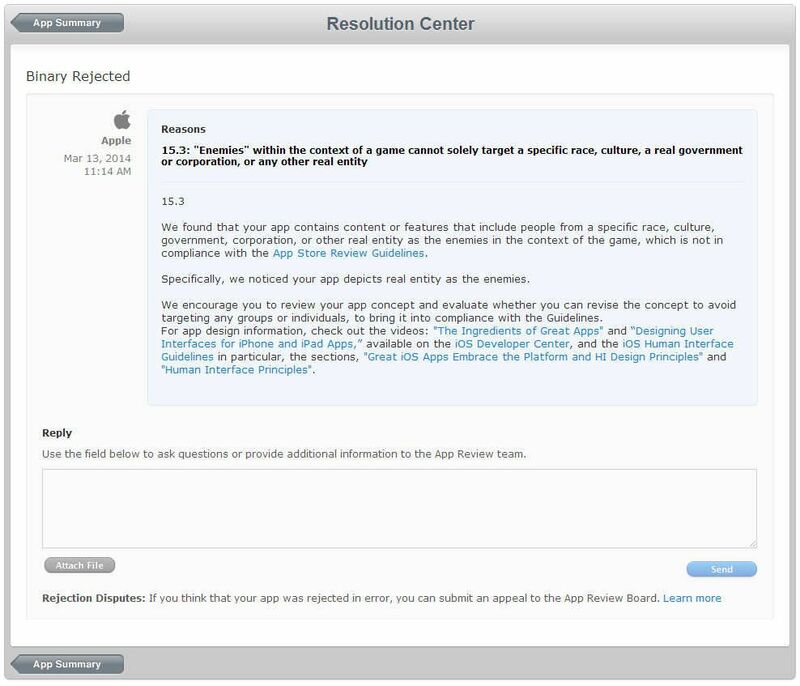 In other words, a World War II-themed that depicts two countries fighting who actually fought in WWII, that is a sequel to an already existing game available in the App Store, somehow breaks Apple’s guidelines. Apple has behaved this way before when it comes to historical “enemies” being depicted in games. The company initially rejected Pacific Fleet for including the IJN flag back in 2012, while a Syrian Civil War game was disallowed for depicting Syrians.